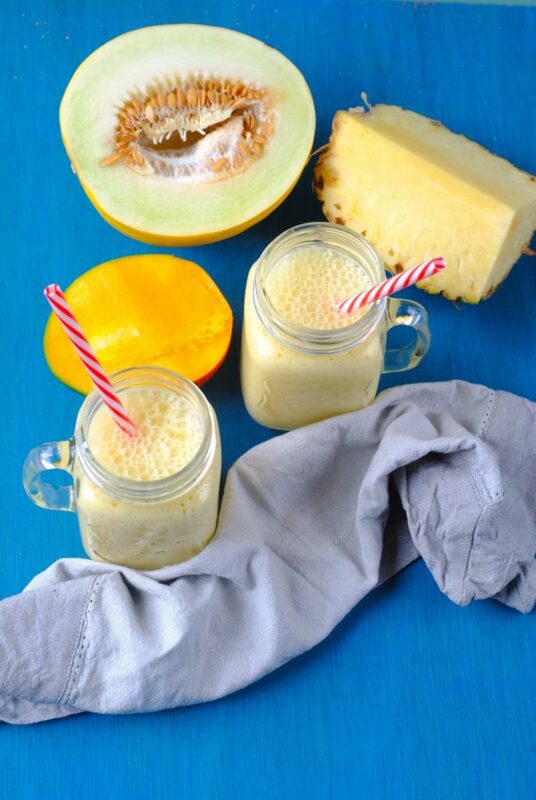 We are definitely smoothies all year round kind of people. The same way that we still have soup in summer and salads in winter too. Hey, your tastebuds don’t know what season it is (or do they?) and when a craving hits, you don’t want to tell your tastebuds no! 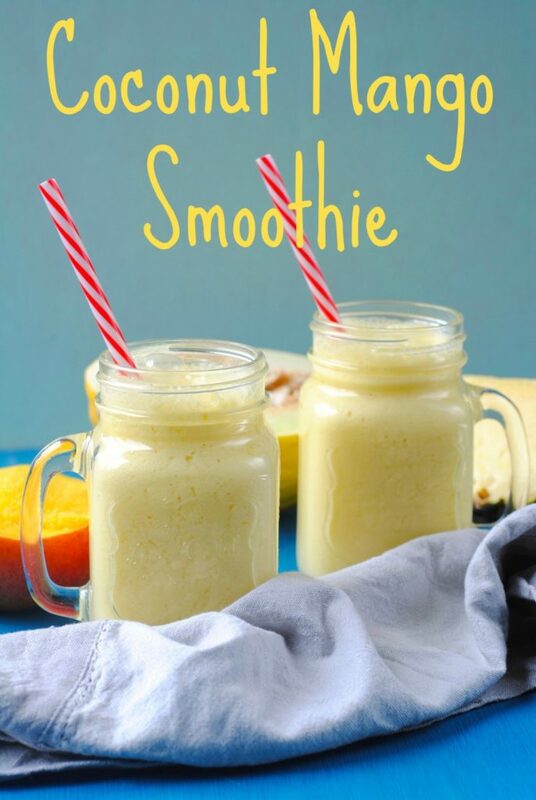 Plus, smoothies are so quick and easy, they are often being made in our kitchen. 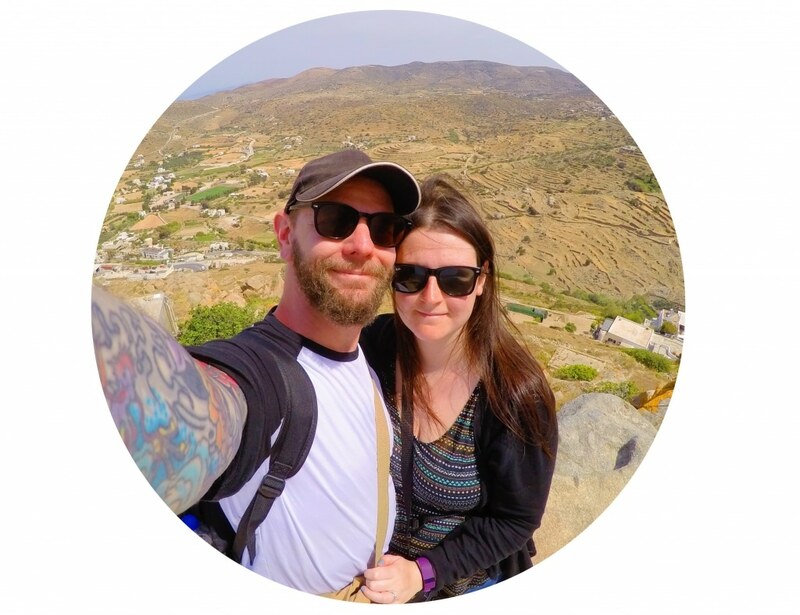 We have just started house hunting in a different area from where we live now. Trying to fit that in wth everything else means we have even less time than normal. The houses we are looking at are about a 40 minutes from where we currently live and the viewings are starting early. That means we have got to be out the door early. Trying to get ourselves ready that early was always challenging enough as we are not really morning people. Trying to get out the door at that time with a 10 week old is a whole other story! We don’t want to skip breakfast, as making important decisions like which house to buy should never be done on an empty stomach. 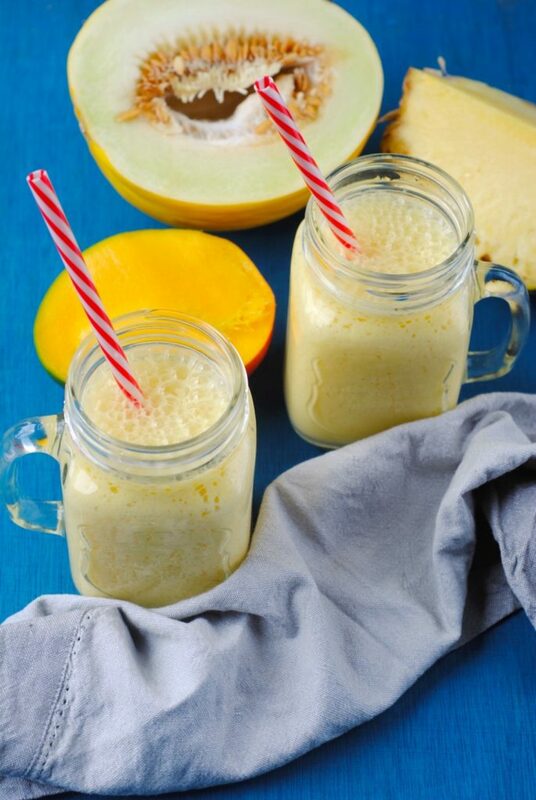 We don’t have a lot of time, so smoothies to the rescue! I know this isn’t very seasonal, but that’s kind of the point. We wanted something that would make us dream of a tropical island and wake our tastebuds up after a few days of stodgy comfort food. I think you can tell by just looking at the colour of this that it did just that! That’s the great thing about smoothies, you almost feel better just looking at them with those vibrant colours. Just a heads up – you do have to actually drink them to get the nutritional benefits though…. you can’t just look at them! Dannii is still cutting out dairy, as we think baby has a dairy intolerance, and because she doesn’t eat meat anyway she is now vegan for the foreseeable future. We are both actually really enjoying making vegan versions of our usual meals and experimenting with new flavours. Not only does using coconut milk in this smoothie make it vegan, but it makes it more tasty than cow’s milk. It’s really thick and creamy and just intensifies that tropical taste. We used half coconut milk and half coconut water so it wasn’t too thick and to also lower the calories. All that coconut flavour, but with less calories – that’s a bonus for us. 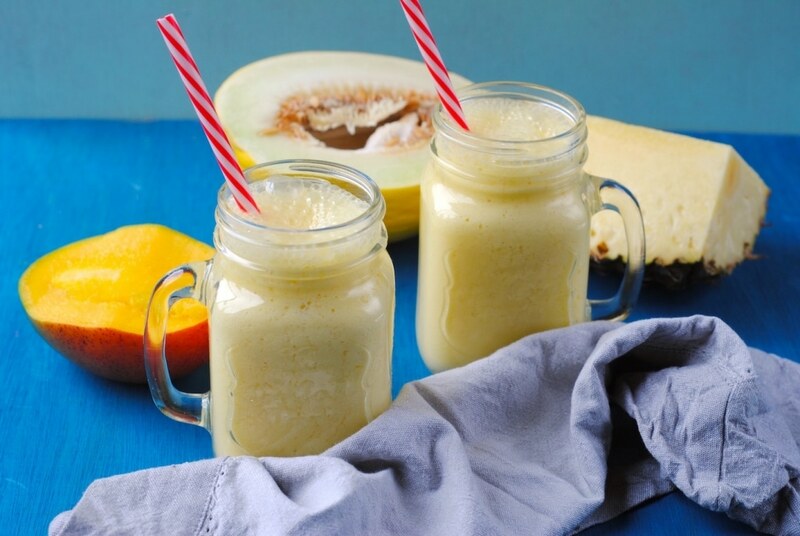 You have all the nutritional benefits of the coconut in this smoothie. Coconuts are high in fibre and vitamins C, E and B1. Then you have the mango, which has been found to protect against colon and breast cancer as well as being a great source of potassium. 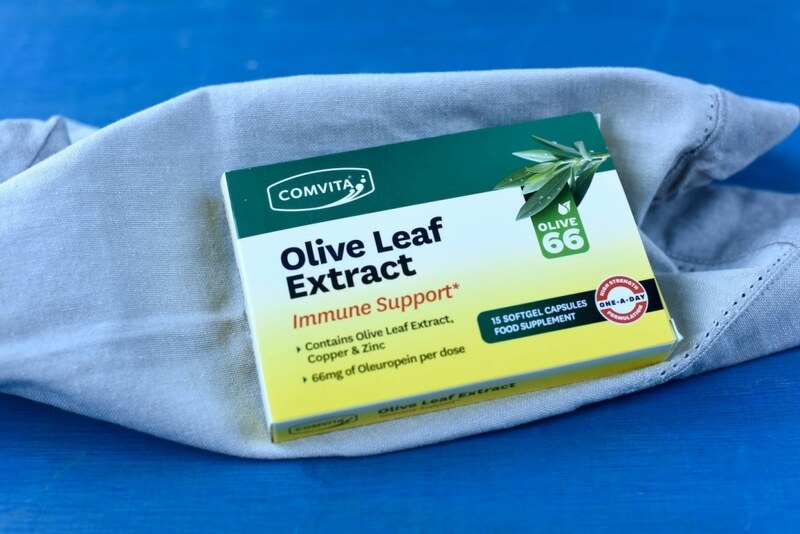 As if that wasn’t enough, we have added some Olive Leaf Extract for an extra nutritional boost. Everyone knows that the Mediterranean diet is one of the healthiest in the world. It has many benefits including being likely to live longer and that is partly due to their high intake of olive oil. It’s not just drizzling olive oil on their salads though, for centuries, people in the Mediterranean have eaten fresh leaves from the olive tree as part of their daily routine. *Queensland University; Southern Cross University, NSW. 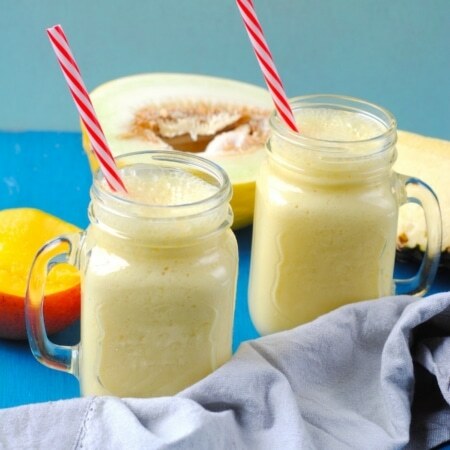 You didn’t hear it from me, but I think in the summer months these smoothies might be good with some rum in them at a garden party. We only know that for research purposes of course. 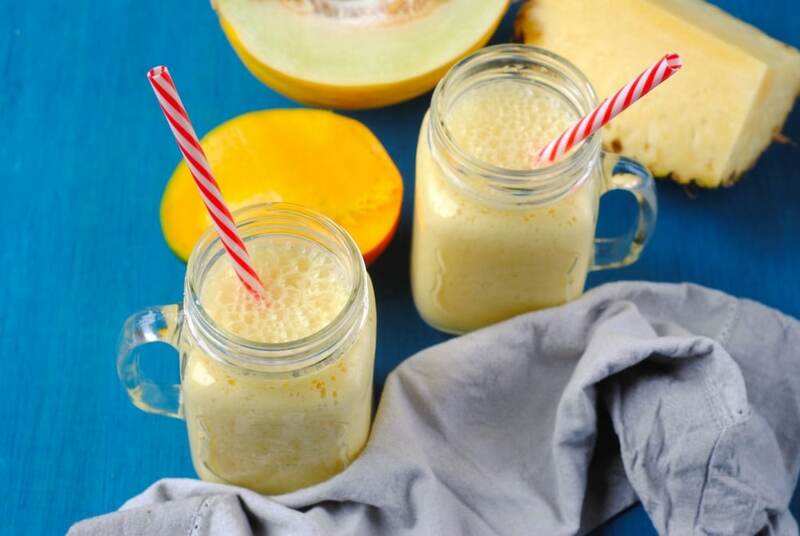 You can experiment with different fruits that you have around, but the combination of mango, pineapple and melon really hits the spot when you are looking for a tropical twist. 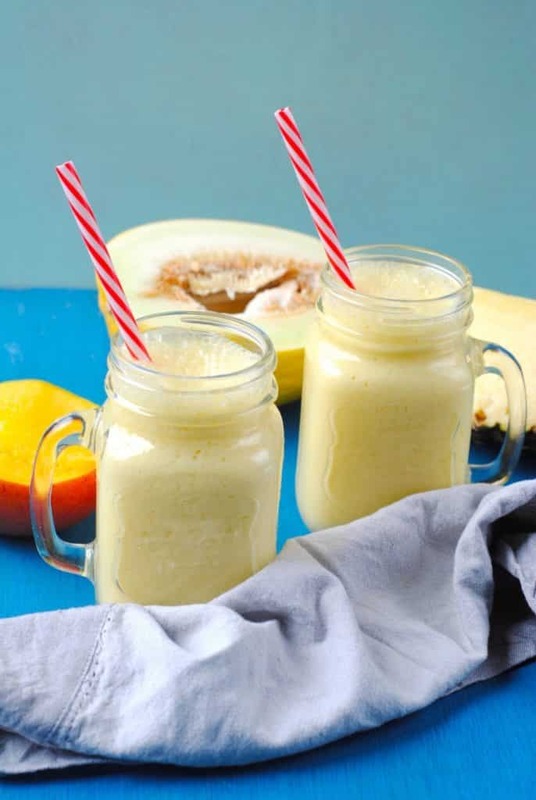 It might be cold and grey outside, but we can pretend we are somewhere warmer sipping this Coconut and Mango Smoothie that is bursting with tropical flavours. I love coconut and mango. It’s very tasty on summer. I will make it for my family. omg I love smoothies! I need to try this one asap!